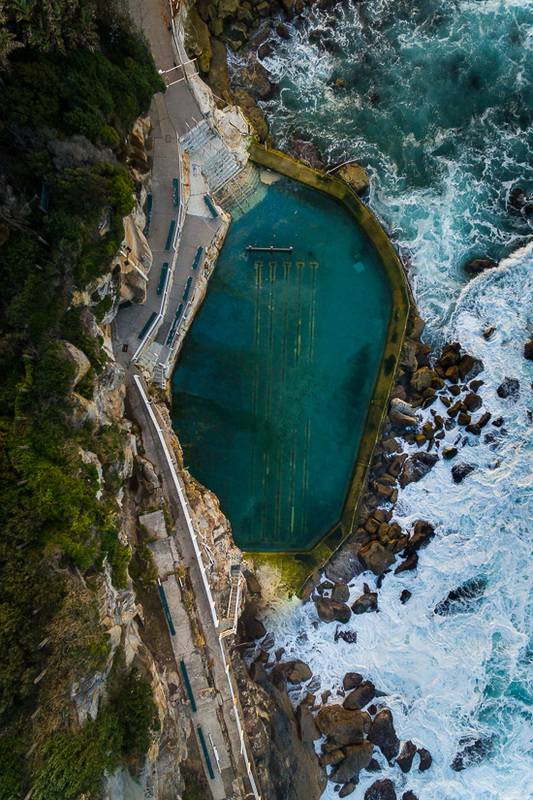 I’d been wanting to shoot the lanes at Bronte ocean pool for some years. Somehow I’d never gotten around to shooting here. A look south down the coast with sun dipping to the horizon to the right. The pool is straight ahead at the base of the cliff directly across the beach. 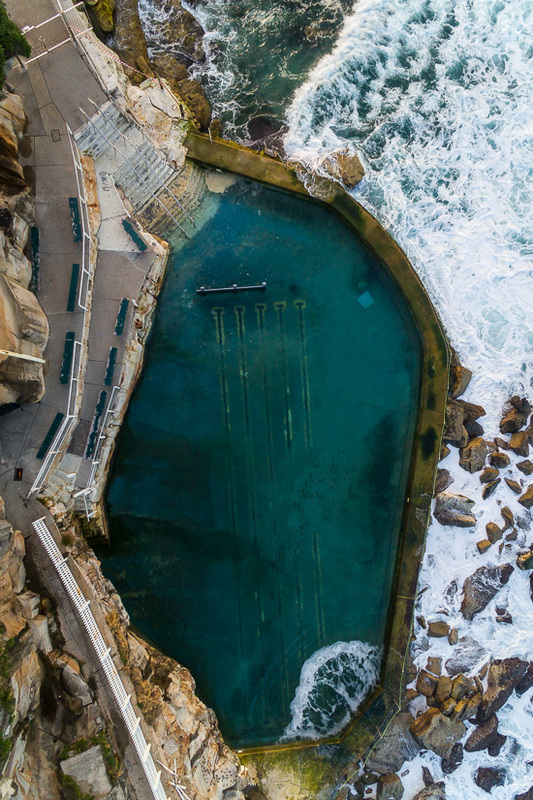 The pool has these fabulous lines which mark the lanes of the pool which are quite striking. Many a seascape photographer has used them to good effect. 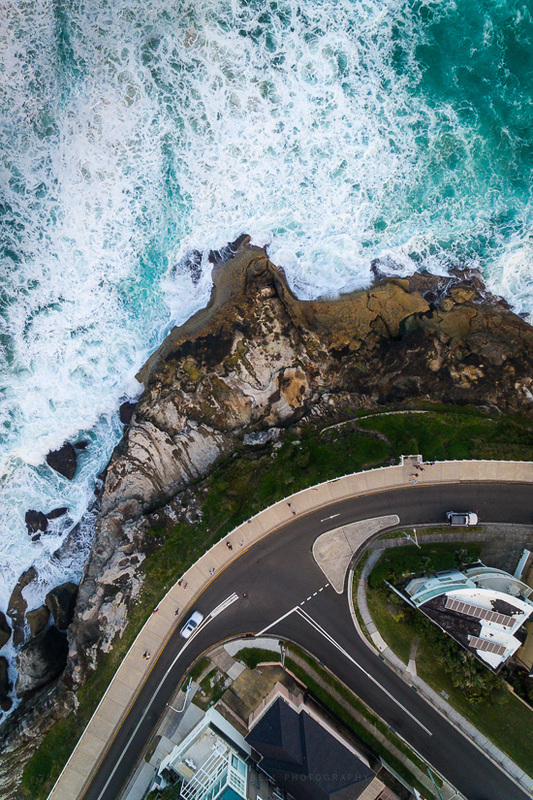 I had my drone so figured I’d give it a shot from above. 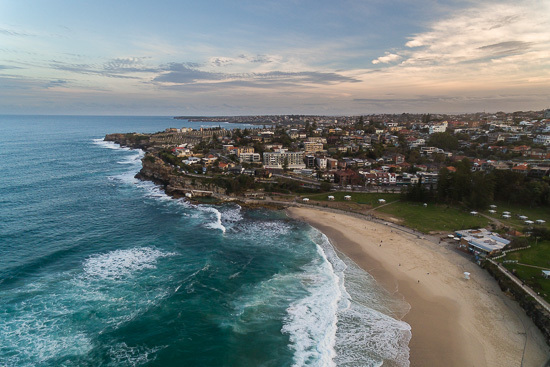 Too cold here in mid winter for anyone to be swimming as the sun dips below the horizon.